Apartment owners and managers need more insights into their sales performance, while renters expect easy communication. Knock makes all of this incredibly easy to execute and manage. Knock, a Seattle-based company that maximizes the marketing and sales performance of apartment buildings through award-winning CRM and communications technology, today announced it has raised $10 million in Series A funding. The round was led by Madrona Venture Group and brings the company’s total capital raised to $15.5 million. Knock will use the investment to scale its go-to-market organization and to accelerate investments in product, engineering, and data science. The funding comes on the heels of an exponential growth period for the company. Over the past two years, Knock has experienced 11x revenue growth, tripled its team and moved to a new headquarters in Seattle’s Ballard neighborhood. Knock is currently used by thousands of apartment buildings across the United States and Canada, with clients including Milestone, FPI, ZRS and The Carroll Organization. Knock also serves as an integration partner to leading management software companies, including Yardi, RealPage, Entrata, ResMan, AMSI and MRI. “Attracting and retaining the best tenants is crucial to the financial success of an apartment building, and yet, before Knock, property managers did not have access to the modern CRM tools available to their peers in other industries,” said Scott Jacobson, Managing Director at Madrona Venture Group. “The Knock team deeply understands the nuances of the multifamily housing market and has developed industry-leading CRM and communications technology that help property managers improve their business and their tenants’ experience. 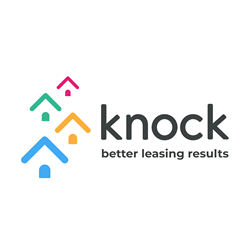 We’re excited to be partnering with Knock to make a difference for property managers and their tenants.” Jacobson joined the Knock board in conjunction with the financing. With multifamily housing development reaching new heights, and more people renting now than at any point in the last 50 years, the multifamily housing market is larger and more competitive than ever. Knock empowers property managers with the tools they need to convert leads into prospects, prospects into leases and leases into renewals. The only multifamily housing platform to provide marketing, automated communication, real-time performance management and robust messaging capabilities all in one place, Knock allows property managers to better manage relationships with their prospects and tenants, and ultimately, boost their profits. The new capital will also support Knock in accelerating its investments in data science and analytics features to help property managers improve rental yields. Tenant turnover prediction and yield optimization are examples of areas where Knock is investing in data science and analytics to help property managers make better decisions to improve occupancy and profitability. In 2018, Knock hired former A Place for Mom Executive Ted Ellis as CTO and rolled out a national field-sales organization nationwide in Seattle, the Bay Area, Los Angeles, Dallas, Houston, Miami, Chicago, Washington D.C. and Boston. Knock plans to double its employee headcount in 2019 to fuel further growth and continue providing superior support to its customers. For more information, please visit http://www.knockcrm.com. Knock is an award-winning platform that maximizes the marketing and sales performance of apartment buildings through CRM and communications technology. Multifamily property management companies rely on Knock to easily organize communication across every channel, coordinate and schedule tours and track overall marketing and leasing effectiveness, driving better performance and boosting profits. Knock is based in Seattle and was founded in 2014. For more details, visit http://www.knockcrm.com. Madrona has been investing in early-stage technology companies in the Pacific Northwest since 1995. The firm has nearly $1.6 billion under management, and is investing out of $300 million Fund VII. Madrona was an early investor in companies such as Amazon.com, Apptio, Smartsheet, Rover.com, and Redfin.